(Fort Worth, Tx)…The Tom Eisner Mediator of the Year Award was established in 1993 in memory of Tom Eisner, a volunteer mediator who gave his talents and generosity to DRS North Texas prior to his untimely death in 1992. During Dispute Resolution Services of North Texas, Inc. annual awards banquet, Lazette Woods was announced as the winner of the Tom Eisner Mediator of the Year Award for her high dedication to the agency, advanced mediation skills, and for performing the greatest number of mediator service hours. Lazette is often asked to mediate juvenile victim-offender disputes at the Scott D. Moore Juvenile Justice Center. Juvenile victim-offender cases are a unique type of dispute that involve family violence between a youth and their parent, relative, guardian, schoolmate or classmate. When a juvenile has been arrested and detained by the juvenile justice system for family violence, the family may be offered a chance to meet with a mediator who will facilitate a discussion of the disagreements and assist in resolving the issues that lead to the police being contacted and the juvenile detained. Intervening as a mediator to help families in distress is very rewarding for Lazette. While the strong negative emotions that surround these disputes might be undesirable to other mediators, Lazette feels that she has “the rare ability to positively impact a family and a child’s life in a powerful meaningful way. My passion and heart belong in juvenile victim-offender mediation and family mediation”. She received a Bachelor of Education and Sociology from Stephen F. Austin University and received a Master of Education/Mid Management & Superintendency from Texas A&M University Commerce. 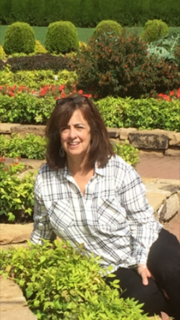 Prior to volunteering with DRS North Texas, Lazette had a career in education as a K-12 educator and administrator. Today, she continues to be active in the field of education in her role with the National Accreditation Commission visiting early childhood education facilities that apply for accreditation. Lazette Woods completed her Basic Mediation Training in 2010 and Family Mediation Training in 2011. She is a credentialed Advanced Mediator with the Texas Mediator Credentialing Association, a CASA Volunteer, and ombudsman. In her spare time she loves antiquing, reading, and spending time with her four precocious grandchildren who remind her that every day is an adventure to embrace.